And in Gaza it’s way more than five (though that is clearly how so many governments around the world, including Canada, rank Palestinian citizenship). (2) By ‘citizenship in the world’ Gilbert is getting at the differential calculus that constitutes what Judith Butler calls ‘a grievable life’, and here Maya Mikdashi sharpens a (different) point I’ve made in relation to air strikes in the Federally Administered Tribal Areas and elsewhere: that not only the dead and injured women and children [see the map above, also available here] but also the dead and injured men are worthy of our grief. Palestine men and women and children are one people— and they are a people living under siege and within settler colonial conditions. They should not be separated in death according to their genitalia, a separation that reproduces a hierarchy of victims and mournable deaths. Jewish Israelis (including soldiers and settlers) occupy the highest rungs of this macabre ladder, Palestinian men the lowest. 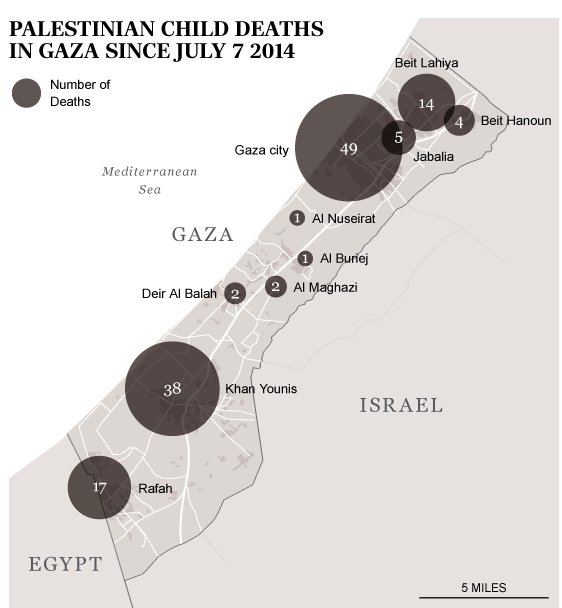 This hierarchy is both racialized and gendered, a twinning that allows Palestinian womenandchildren to emerge and be publicly and internationally mourned only in spectacles of violence, or “war”—but never in the slow and muted deaths under settler colonial conditions—the temporality of the “ceasefire.” To insist on publicly mourning all of the Palestinian dead, men and women and children—at moments of military invasion and during the every day space of occupation and colonization— is to insist on their right to have been alive in the first place. 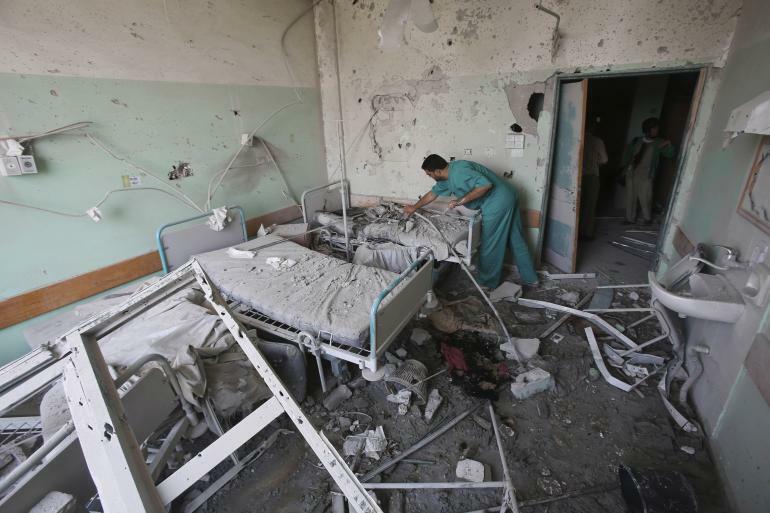 What has been happening in Gaza cannot usefully be described as “warfare”. The daily reports of atrocities situate this latest Israeli assault on common humanity within the domain of what the great Catholic thinker and poet, Thomas Merton, caIled “the unspeakable”. Its horror exceeds our capacity to render the events through language. This entry was posted in casualties, ethics, Israel/Palestine, law and tagged casualties, Gaza, international law, Judith Butler, Mads Gilbert, Maya Mikdashi, Richard Falk by Derek Gregory. Bookmark the permalink.